2015 is the year of shopping local, using local produce where possible and above all simplifying my cooking and freeing up my time. I want simple but I also want to keep great taste and preferably just use one pot! 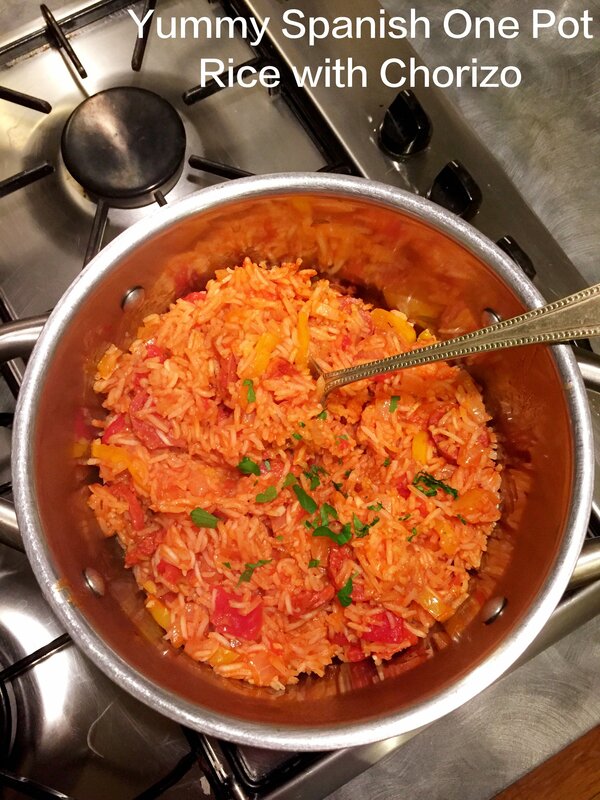 Spanish rice with chorizo is super popular with the kids and all plates were cleared. Totally delicious low fuss easy family meal. Add a splash of rapeseed oil to a saucepan and tip in the garlic, onion, chorizo and pepper and let them sizzle for a good five minutes over a medium heat. Add the rice and mix it into the chorizo and vegetables. Add 2 cups of water, the tinned tomatoes and smoked paprika. Bring to the boil then reduce the heat to low, put the lid on and cook for around 20 minutes until the rice is cooked through. Stir a few times to stop the rice sticking, if it's looking a little too dry add a splash more water. Let’s talk chorizo… Having popped up to Home Farm in Bispham Green, Lancashire to buy treats at the weekend I discovered some amazing chorizo from Three Little Pigs in Yorkshire and oh my goodness it is good chorizo! 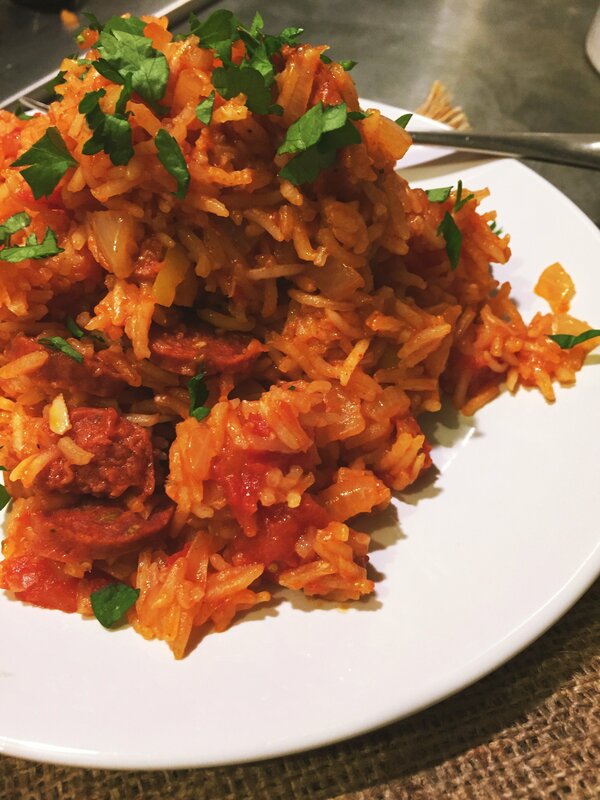 I made the Spanish rice using the mild Rare Breed Chorizo which is produced using La Vera Smoked Pimenton it gave the dish a completely delicious taste which was just mouthwateringly good. A beautiful chorizo sausage, richly flavoured and a great texture much more finely ground pork than typical chorizo. If you get the chance to buy some then do you’ll just love it.